Born Ezra Allan Miner on December 27, 1846, Miner began his criminal career as a teenager, stealing horses and robbing merchants in northern California. He later moved on to burglarizing homes and robbing stagecoaches in California and Colorado, where he and his accomplices often took away thousands of dollars in cash, gold dust, bonds and other goods. His polite, conversational manner during robberies earned him the nickname The Gentleman Bandit. Law enforcement eventually caught up with Miner, and despite multiple escape attempts, he spent decades behind bars in San Quentin State Prison. 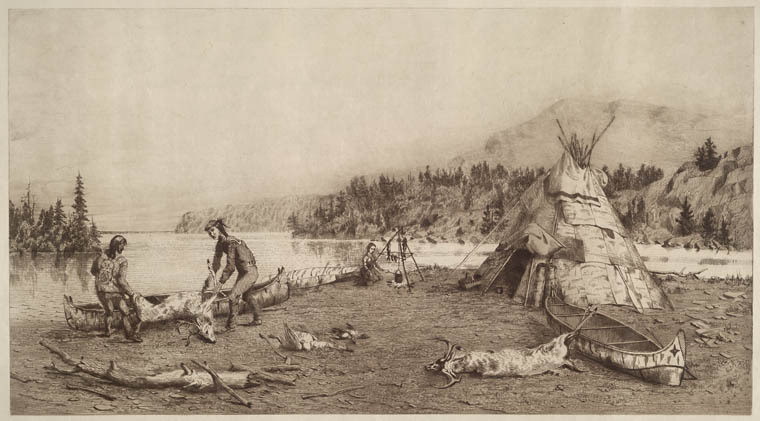 When Miner was finally released in 1901, it was to an unfamiliar 20th-century American West. After trying his hand as an oyster farmer, he soon returned to a life of crime. 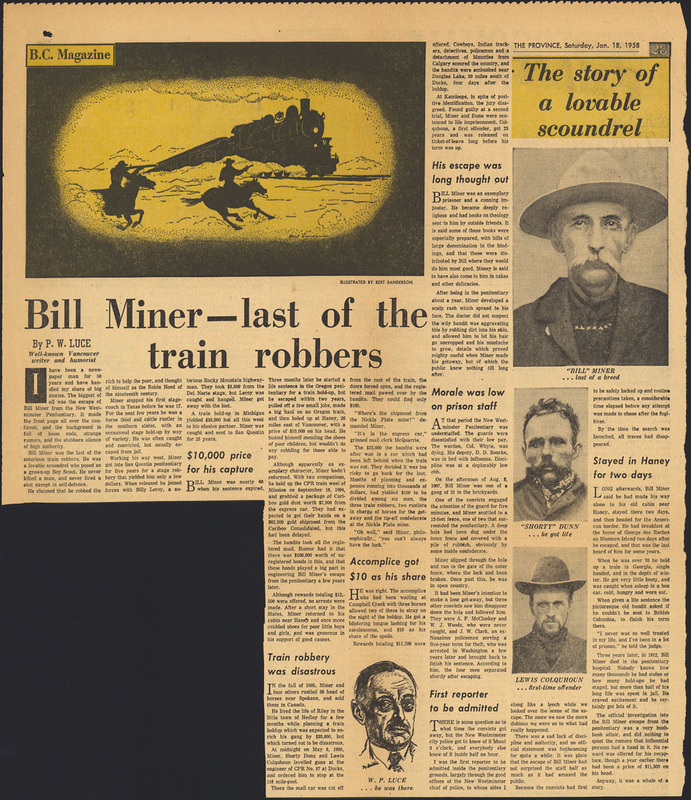 As stagecoaches had been replaced by ever-expanding railroads, Miner turned to train robbery. He tried and failed twice to rob express trains in Oregon, and escaped across the border to settle in Princeton, British Columbia. There he established himself as a cattle trader and ranch hand, using the alias George Edwards. Known for his generosity, Miner was well liked in the small town. By 1904, Miner had recruited new accomplices and was ready to target another train, this time in Canada. On September 10, along with partners Jake Terry and Shorty Dunn, The Grey Fox robbed a Canadian Pacific Railway train at Mission Junction, B.C. After taking thousands of dollars in cash, gold, bonds and securities, the bandits evaded capture for over a year and a half. Then on May 8, 1906, Miner, Dunn and a new accomplice named Louis Colquhoun held up a CPR train at Ducks (now Monte Creek), near Kamloops. However, this job was an abject disaster. The take was only $15.50, the men were forced to flee on foot, and they were captured five days later. Yet with his popularity in the area and the anti-CPR sentiment at the time, crowds of supporters greeted Miner as the Royal North-West Mounted Police brought him in to Kamloops. The warning was prophetic, as Miner escaped from the penitentiary on August 8, 1907. Guards and police searched the surrounding area, and then the wider Vancouver region, with no success. 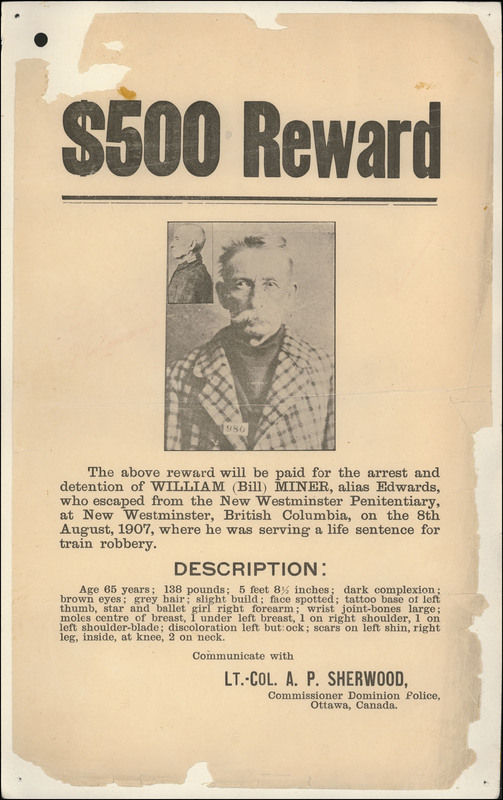 Rumours spread that he had received outside help to escape, in exchange for the return of bonds and securities he had stolen in the 1904 CPR robbery. In addition, newspapers reported high levels of public sympathy for Miner, with many expressing their wish that he never be recaptured. In the end, Miner returned to the United States and lived in Colorado until his money ran out. In 1911, he robbed a train in Georgia. He and his accomplices were caught within days, and at 64 years old, Miner was sentenced to 20 years in prison. After escaping in 1911 and 1912, Miner died in prison on September 2, 1913. 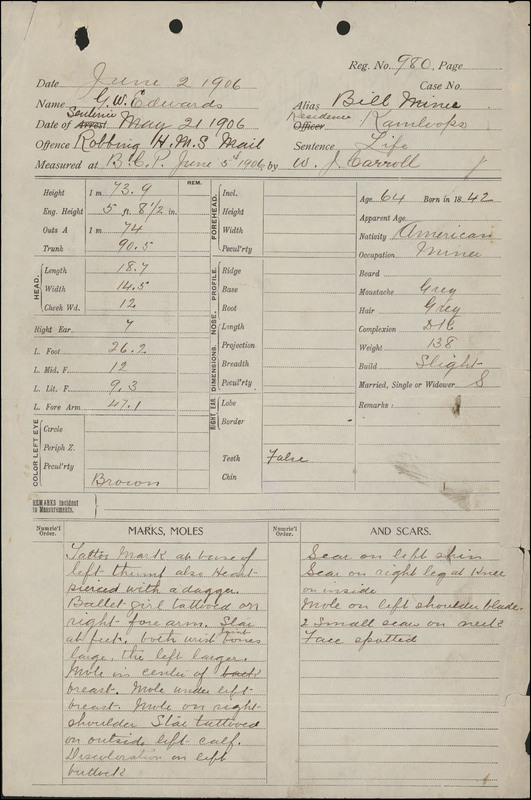 Library and Archives Canada holdings include records from the B.C. 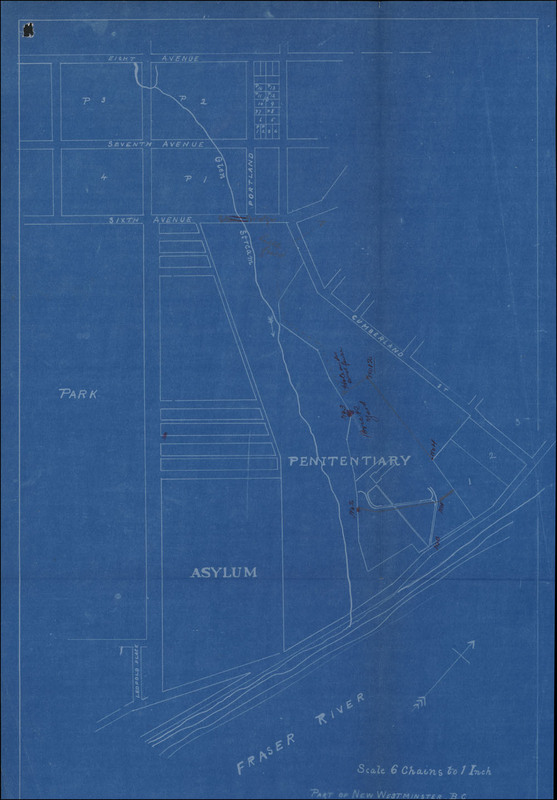 Penitentiary that provide fascinating details on Bill Miner and his escape from the prison. These documents are now available as a Co-Lab challenge, and include intake forms and mug shots of Miner, reports of prison officials, newspaper clippings, and letters from individuals claiming to have spotted The Grey Fox, even years after his death. Co-Lab is a crowdsourcing tool that invites the public to contribute transcription, translation, tags and description text. The public contributions then become metadata to improve our search tools and enhance everyone’s experience of the historical record. Caitlin Webster is an archivist in the Vancouver office of the Reference Services Division at Library and Archives Canada. This doodled design hints at the power railroad companies held to influence the look of the country. Settlements along Canada’s railway lines still reflect the grid plans imposed on them back then. During four very happy summers as an archival assistant at the Provincial Archives of Alberta, I worked with government records, private manuscripts and cartographic records, and I answered many reference inquiries for homestead applications (through which homesteaders obtained letters patent to confirm that they had settled former Crown land and had received legal title). During my last summer, I catalogued the series of historical township plans (maps) that covered all of Alberta. 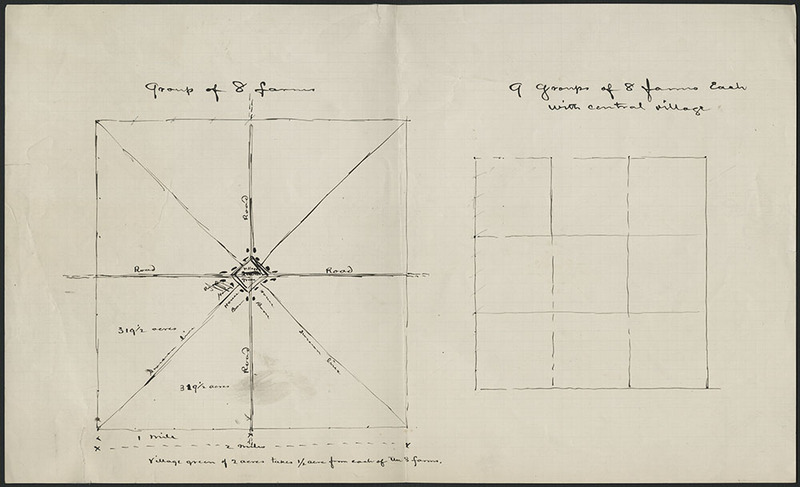 Since I am well acquainted with the Western Canadian land survey system and the homestead applications and township plans at the Provincial Archives of Alberta, this item from the Sir William Cornelius Van Horne fonds resonated with me. Those grid lines looked very familiar! But the Canadian Pacific Railway’s (CPR) influence on the look of Western Canada extends beyond this doodled sketch of a grid-based settlement plan; there is more to the story. The CPR’s construction was supported by the government through the Canadian Pacific Railway Charter, which bestowed on the company a monetary subsidy of $25 million and land grants of 25 million acres (an area roughly the size of England), in addition to lands for rights-of-way, stations and yard works. 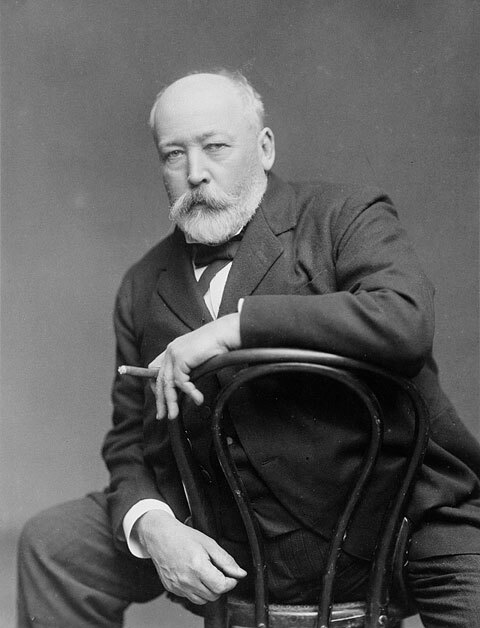 Van Horne had direct responsibility for the CPR’s construction between 1882 and 1885, and was subsequently its Vice President, President and Chairman. Soon after the railway was completed in 1885, he and the other directors of the company realized that whatever small profits were made would be almost immediately swallowed up by the operating and maintenance costs of the difficult mountain sections. Recognizing not only the potential lure of new settlement lands but also the grandeur of mountain scenery, Van Horne and the CPR used artwork and carefully crafted words in advertising campaigns that targeted settlement and tourism in Canada. The CPR’s influence and actions thus helped to shape Canada’s image abroad and contributed directly to the national economy. Van Horne is famously quoted as saying, “If we can’t export the scenery, we’ll import the tourists.” Both his passion for art and his business acumen gave him a keen interest in the development of the CPR’s tourism campaign. 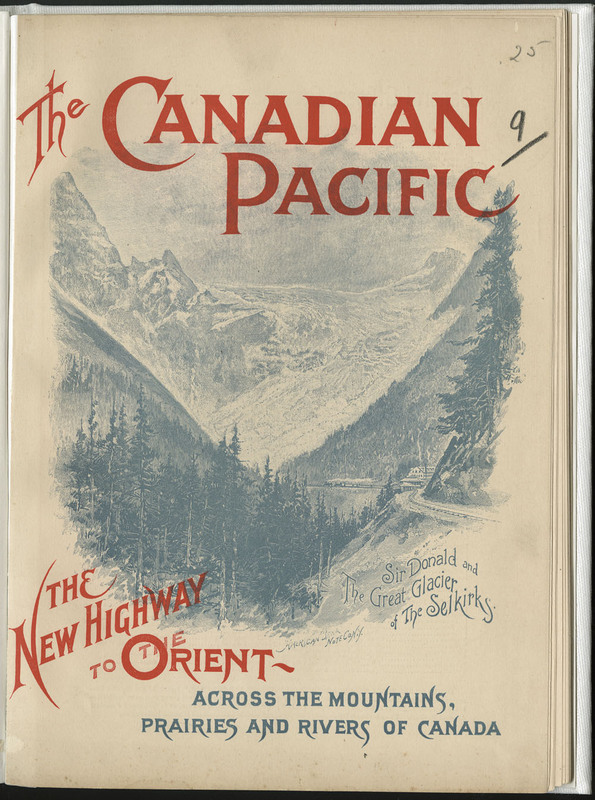 While there is a plethora of beautiful visual records at LAC and across Canada that could show how the CPR and Van Horne influenced the image of Canada abroad, I will focus instead on the complementary power of words, specifically those found in the 1891 version of the CPR tourist pamphlet The Canadian Pacific: The New Highway to the Orient Across the Mountains, Prairies and Rivers of Canada. Conceived and written by Van Horne himself, the 48-page pamphlet was originally begun in 1884 before the CPR was even completed, but it was not produced until 1887 because Van Horne insisted on having nothing but the best mountain illustrations to complement the text. 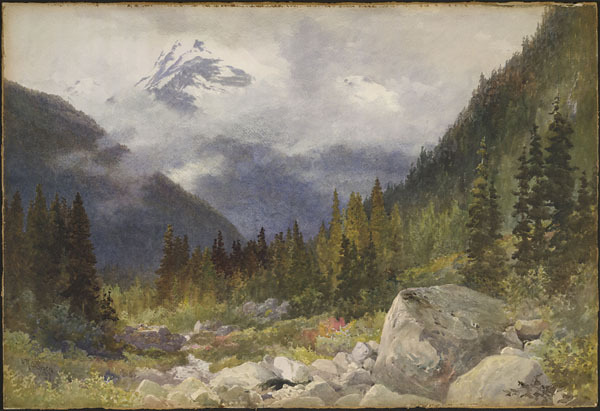 He was one of the patrons behind the “Railway School” of Canadian artists that included John Arthur Fraser, Thomas Mower Martin, Frederic Marlett Bell-Smith and Lucius O’Brien. The artists were given free rail passes, with the only stipulation often being that the CPR would have first choice of the finished works for its own use. The black and white sketches will hardly answer our purposes, the mountains not being sufficiently imposing. I made last night a rough sketch … which will illustrate my ideas; it is made mostly from memory and I have taken a great deal of license but I do not think that any one going to the spot without the picture in hand will ever accuse us of exaggeration. For the great glacier and Syndicate Peak I would like something similar to this. … I find the perspective in the glacier not right and the peaks projecting through the glacier are not treated broadly enough to give their proper distance. You will of course be able to make a great many improvements on my sketch, but I hope you will preserve the size. Want to learn more about the foundations of the Canadian tourist industry and the impact of Canadian railways? Take a look at the archived LAC web exhibition Canada, by Train. Catherine Bailey is a senior government records archivist at LAC, where she has been responsible for the health and social welfare, transportation, justice and security portfolios. While working on her Honours BA in Canadian History (UBC, 1986), she spent summers working as an archival assistant at the Provincial Archives of Alberta, before moving on to complete her Master of Archival Studies degree (UBC, 1988). 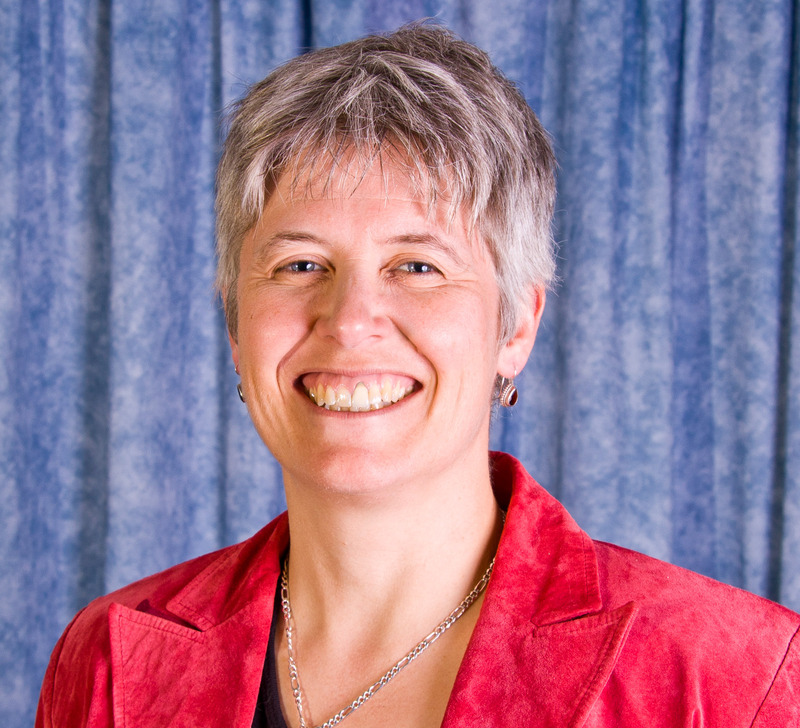 General Editor of the Association of Canadian Archivists’ journal Archivaria from 2007–2008, she received the ACA Member Recognition Award (2004) and the Archives Association of Ontario’s James J. Talman Award (2012). She has written and presented widely on archival appraisal, especially the development of macroappraisal within the Canadian federal government. J. Hart, The Selling of Canada: The CPR and the beginnings of Canadian Tourism (Banff, Alta. : Altitude Publishing, 1983). Annual Report of the Department of the Interior: Report of the Commissioner of Dominion Parks (Ottawa: King’s Printer, 1915), p. 4. Craigellachie, British Columbia, located near Eagle Pass in the Rocky Mountains, is where Donald Smith, on November 7, 1885, drove the symbolic “last spike” in a ceremony marking the completion of the Canadian Pacific Railway (CPR). The CPR company was incorporated in 1881 to construct a transcontinental railway connecting British Columbia with the rest of Canada upon the province’s entry into Confederation. It was four years of dangerous work and controversies, with thousands of workers, including 15,000 temporary Chinese labourers, laying ties and rails, hammering spikes and exploding pathways through the mountains. The result of this hard labour was a country joined by transportation and enhanced communication—thanks to greater ease of mail delivery and telegraph lines that were built along the railway—and moving steadily into the twentieth century.